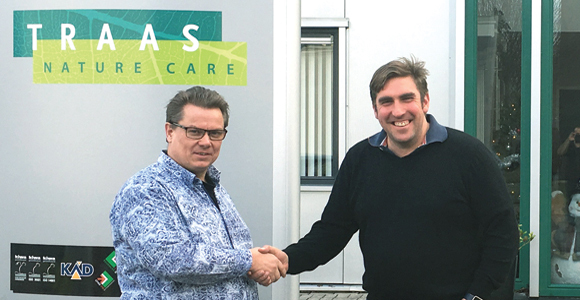 Darren Taylor (right) with Peter Traas, the owner of a well-established Dutch pest-control franchise. StumpBusters UK, the tree stump-grinding business, has sold its first master franchise in the Netherlands to Peter Traas, the owner of a well-established Dutch pest-control franchise. Darren Taylor, owner of StumpBusters UK explains his expansion route and why the Netherlands was suitable for a master franchise. “StumpBusters has been very successful in the UK so I naturally thought about other areas for expanding the business. I’d been considering selling a master franchise, having been to a BFA event on the subject. To begin his search, Taylor said he attended a franchise exhibition organised by Dutch franchise consultants Koelewijn & Partners, where he was introduced to Traas and by January the master franchise was sold for the Netherlands. Taylor continued: “The whole transaction was relatively easy. Following our initial introduction, I met Peter at his office and explained the business in more detail, after which he came over to see how we run things in the UK. “We took some specialist franchise legal advice and within a few months I was back in Holland, signing the paper work. I’m really pleased we’ve been able to seal this deal, a significant milestone in the StumpBusters history. StumpBusters UK says its current annual turnover is approaching £3m. The company has 38 franchisees with only five remaining territories available.